The Optimus ‘Polaris Optifuel’ is a new multi-fuel stove that can burn all liquid fuel types and butane/propane canisters through a single jet. You anticipate using lots of different fuels or like the idea that you could and/or you want a good quality stove and can afford it. You just want to use one type of fuel (e.g. white fuel in the cold, unleaded petrol/gas whilst travelling or butane/propane canisters for ease) or price is a factor. Multi-fuel stoves are so-called because they allow you to burn a variety of different fuel types such as petrol, white fuel, diesel and kerosene. Some newer stoves can also use butane/propane canisters. However, with the exception of the Primus OmniFuel/OmniLite and Trangia X2, most stoves aren’t compatible with all the different types of fuel; they just burn a couple of types. Similarly, most such stoves require you to manually remove and replace a small brass nozzle (sometimes called a ‘jet’) every time you switch the type of fuel you’re using. What makes Optimus’s Polaris Optifuel unique amongst the ~28 different multi-fuel stoves on the market is that it both burns all the available fuel types and does so through a single jet. In other words, you can use whatever fuel you like – diesel, gas, petrol, kerosene – and you never need to change the nozzle. (Disclosure: Optimus are owned by Katadyn who loaned me the stove to review. Katadyn products are imported to the UK by Lyon Equipment who gave me sponsored kit for my recent cycle around the world). The Polaris looks and feels like a quality piece of kit. It looks good, feels robust and the curved legs provide a reassuringly stable platform for pans. The fuel valve at the base of the stove is the only part that feels a bit flimsy but that’s presumably because they’ve made it huge (a good thing for easy operation) and thus have saved weight by using a thin piece of wire. Stove – sleak looking black unit with fold away curved legs. Pump – pretty standard, big solid fuel valve. Bottle – same as the rest except with a safety lid (you have to push and twist to release). Stove tool – it looks like a tiny medieval mace but has the wonderful feature of a magnet inside. If you wave it underneath the stove then it pulls a small needle through the nozzle to clean it. It’s a feature unique to Optimus stoves and allows you to unblock the jet even when cooking. (MSR stoves have a similar self-cleaning system in which you just shake the stove). Canister legs – a last feature of the Optifuel is that the end of the fuel hose has two unfolding wire legs. When you’re using butane/propane canisters, this allows you to tip the canister upside down which makes it burn better in cold temperatures. It’s a neat trick that more manufacturers are starting to cotton on to (and is dramatically called ‘four season mode’). The Polaris functions like most other multi-fuel stoves. Priming and lighting was straightforward with liquid fuel and it burned cleanly using a gas canister. I’ve said that the Optimus Polaris burns “all” fuels. What I really mean is all four types of liquid fuel that such stoves ever burn – specifically white fuel, unleaded petrol/gas, kerosene and diesel – as well as butane/propane canisters. This is not unique but it is rare. (If you’re not quite sure about all the different types of fuel then I’ve written a Guide to Different Fuel Types). MSR’s XGK-EX, DragonFly and Whisperlite International can’t take canisters and even the boldly named ‘Universal’ can’t take diesel. The same goes for the tiny Edelrid Hexon. The only stoves that match the Polaris are the Primus Omnifuel and OmniLite Ti, and a Trangia with the X2 Multifuel Burner kit (which can technically use alcohol/methylated spirits as well). However, these all require changing nozzles when you change fuel types. [UPDATE: the Edelrid Hexon can also burn all fuel types]. The Polaris can simmer and only requires one nozzle (i.e. doesn’t need changing for different fuel types). It does, however, need priming. The only other stoves that can both simmer and don’t reqire nozzle changes are made by Optimus: the Nova and Nova Plus. The one area where the Polaris can be beaten for ease is priming. The Muka stove from Soto has a clever built-in priming system to save you faffing around pre-heating the stove. I’ll be reviewing the Muka next week. The Polaris is an expensive stove. It’s not helped by the fact that it’s new to the market which means there’s not much competition and it’s only being sold at or close to RRP. As such, it is currently more expensive than any other multi fuel stove. For anyone considering buying a multi-fuel stove, the Polaris Optifuel is an all round good stove which will be great if you anticipate using more than one type of fuel or like the idea that you could. If you’re on a budget or really just looking to burn liquid rather than gas, there are smaller, cheaper and lighter stoves available (take a look at my review to see all your options). 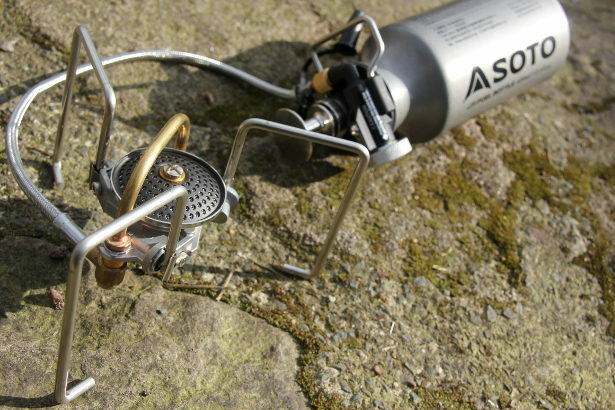 On most measures as a camping stove, the Optimus Polaris is decent – not remarkably better or worse than many others. But its ability to burn all types of fuel through a single jet is novel, unprecedented and excellent. Changing the nozzles has always been a bit of a pain – reading the tiny print on them, trying to remember which is which, and losing them in the tent/grass/dirt – and could now be a thing of the past. Optimus have surely thrown down the gauntlett to all other stove manufacturers: why are you still changing jets? The only comparable innovation in the world of liquid fuel stoves is the Soto Muka’s ability to self-prime. In the meantime, you can see the stats on all 28 different liquid fuel stoves on the market in my Comparison of Multi-Fuel Stoves. Or, if you’d rather stick with gas canisters, see my Comparison of Gas Stoves article instead. It’s new so not well stocked online. However, they’re available new on eBay from £135. Keep an eye on AllOutdoor.co.uk too as they’re already stocking Polaris parts and usually the cheapest. In the USA, they’re available on Amazon from $160. Thank’s for this good review. Thanks Bazaro. A titanium Optimus Polaris… do you know something I don’t?? oh nice, it’s got all the same features as my brunton vapor af. Yes, as I understand it, Optimus took over manufacture of the old Brunton stoves. I don’t think the Brunton Vapor AF is available any more but it did indeed burn all fuels through a single nozzle (albeit with a twist of the burner). How would you compare the Polaris with your hitherto favorite Omnilite Ti when it comes to ease of use, reliability, and efficiency? What about noise? Hi Gustav, they’re pretty similar in operation so equal marks for ease of use, although the Polaris wins if you’re ever switching fuel. I’ve used dozens of Omnifuels over the years and found them pretty reliable, albeit requiring cleaning when using petrol. I’ve not really used the Polaris long enough to comment on reliability other than Optimus having a good reputation. Thanks for the quick feedback! Yeah, I saw the Dawgs, and Primus offer one for the Ti. There also seem to be some Korean made mufflers through Amazon and eBay. The Polaris is attractive also because it wraps so neatly into a tiny bun. Less risk for legs being bent in the hold-all. Would you say they stand equally stably with a pot on? I thought the Polaris felt very sturdy all-round and the legs certainly felt stable, yes, even with a pot on. I know it can be really hard to decide but from my perspective, they’re both excellent stoves and, at the end of the day, they’re very similar so whichever one you choose, I’m sure they’ll give you many years of good use. Keep on going and have a good one mate. Thanks Andy. That’s really good to hear. I hope the Polaris serves you well! Thanks Robert and good luck with the walk. They sold butane/propane gas canisters in La Paz when I was there 10 years ago so you might get away with just those. Do you carry around all of the weight all of the time, even if on one trip you only use gaz canisters? or can you leave parts at home ? Hi Irduif, if you are just using gas canisters then you can leave behind the fuel pump and fuel bottle. I’ve not weighed it myself but from reported values, I think the stove unit without pump should weigh around 370g, saving you about 100g. Hope that helps. Tim Moss, So after time, what is your personal choice between “Optimus Polaris” and “Primus Omnifuel 2”? If you’re likely to be using more than one type of fuel then Polaris definitely wins for functionality. I’ve used Omnifuels/OmniLites for years though and know them to be reliable. There’s no reason to doubt the Polaris – it seemed really good when I tested it – but I only had a brief trial for this review, no long term testing. Great review! Tim, do u know is it possible install Polaris burner on Trangia? There is adapter for Nova and Nova+ but I haven’t seen any for Polaris. Thank you. Good question. Just emailed Lyon Equipment (UK distributors for Optimus) to check. Hello again. I contacted Lyon Equipment and they’ve said that the Trangia converter is not compatible with the Polaris and there isn’t an alternative adaptor I’m afraid. Hi Tim… Thanks for the reviews. My intended use is for vol-bivouac paragliding (haven’t seen it mentioned on your website yet!) 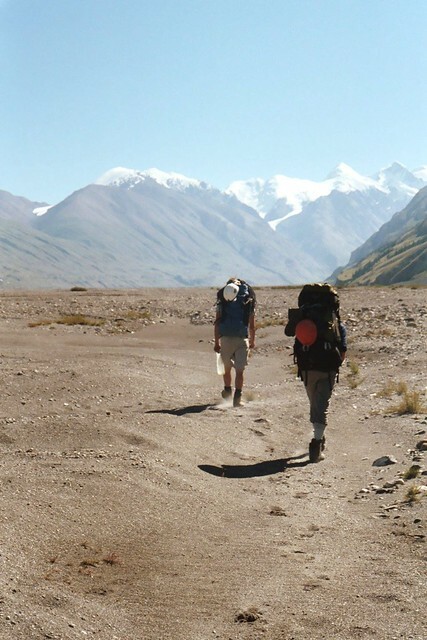 So weight of course is important but also pack size (limited space in a paragliding harness.) How would you compare the Polaris Optifuel vs Primus Omni Lite TI when it comes to size? Also… Many bad experiences with unleaded fuel and my MSR Whisperlite and ridiculously frequent cleaning requirement. Plus horking that wire in and out of the fuel line in cold temps on the MSR with that silly tool gives me many bad memories. How do the Primus and Polaris compare in this regard? I just had to Google ‘vol-bivouacing’ (which, for anyone else reading, means going paragliding with enough kit to camp out overnight). Sounds ace. Polaris vs OmniLite Ti: on size, the OmniLite wins. Although there’s not a massive range in the size of the mainstream multi-fuel stoves, the Primus OmniLite is one of the smallest whilst the Optimus Polaris is one of the largest. Cleaning: I think all of the stoves are going to get clogged up with unclean fuel so, wherever possible, I’d use clean white fuel. The Omnifuel and OmniLite are no different and I’ve spent many hours cleaning them over the years. In their defense, they are very easy to take apart, diagnose and sort out. I haven’t tested the Polaris Optifuel for long enough to comment though. Given that it uses only one nozzle for all fuel sizes though, I could imagine it being slightly more prone to blockages. But that’s just speculation, not based on experience.